Sold out. Restock expected mid 2018. Working with one of our expert metal smiths, we designed this pillar adapter ourselves, and we couldn't be happier with the result. Pillar adapters are an easy way to add height to your pillar candle lighting displays. Simply insert the peg on the adapter into the socket on your standard candle holder, and you have a whole new look. Our Kendall adapter features a lovely twisted edge, with a 3 1/2 in middle surface made to hold a 2 or three inch pillar candle. 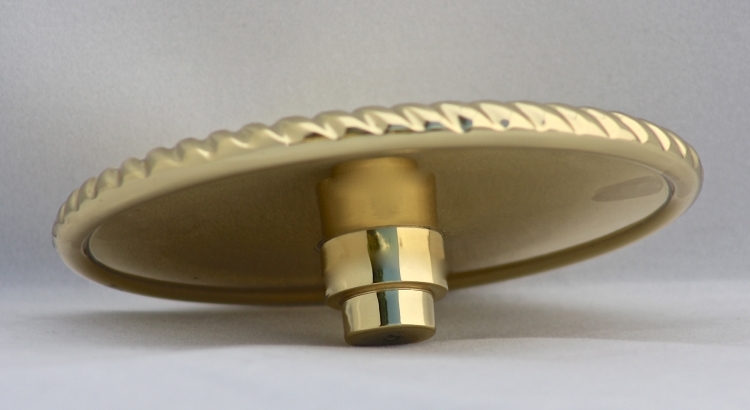 This adapter is cast of solid brass, which is lacquered to help prevent tarnishing. Weighs 15 ounces. The Kendall Adapter is shown here on our 1123 Old Holland candlestick, sold separately. Having purchased 8 of these adapters, we have decided that for the price,quality and appearance of these items yours are superior to all others on the market. 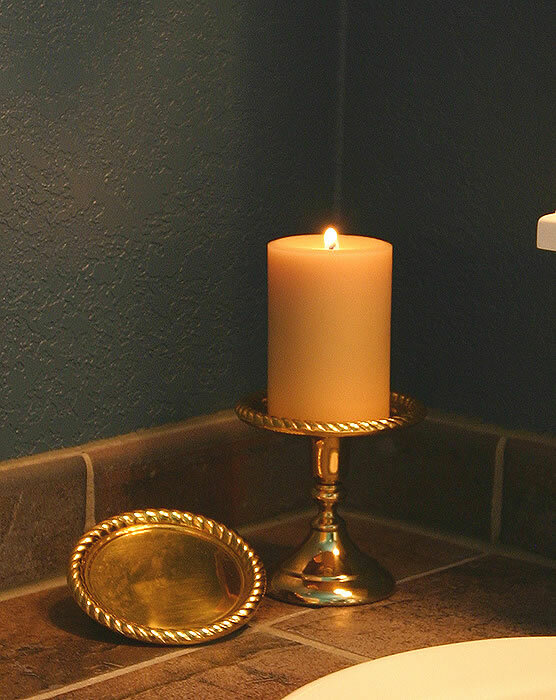 Top quality polished brass candle holders and accessories are hard to locate. 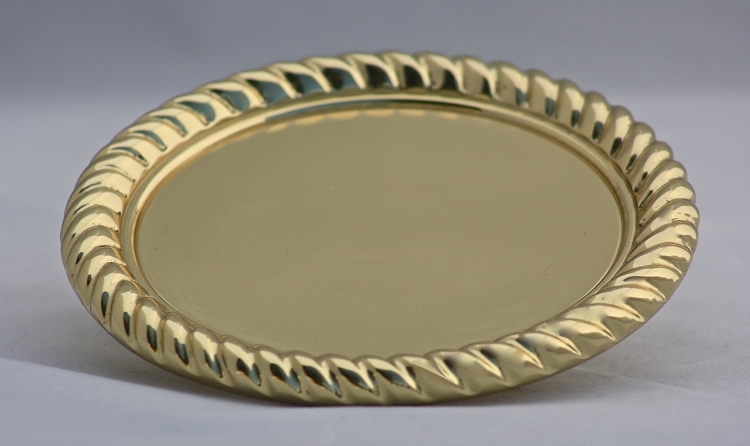 Baldwin Brass may no longer be around but your standards and workmanship are even higher. Thank you again for being here for us. The Kendall Pillar Adapter is available in both Polished Brass and Pewter Plated styles.